The TFH Vibroacoustic Rocker magnifies musical vibrations so they are felt more easily. Vinyl-covered firm foam shape cradles the body securely and rocks gently. By connecting to a stereo (included), the rocker becomes a vibroacoustic tool. The included stereo must be used to prevent any failures. Comes with a receiver and CD player. Our stereo is Bluetooth compatible. Now you can connect your phone or tablet to our stereo receiver and select your favorite music. The warranty is void if the incorrect stereo is used. Our line of vibroacoustic positioning furniture allows the user to feel the vibration of the music through the furniture. Vibration is a great way to get the proprioceptive input to calm and stimulate a variety of clients. 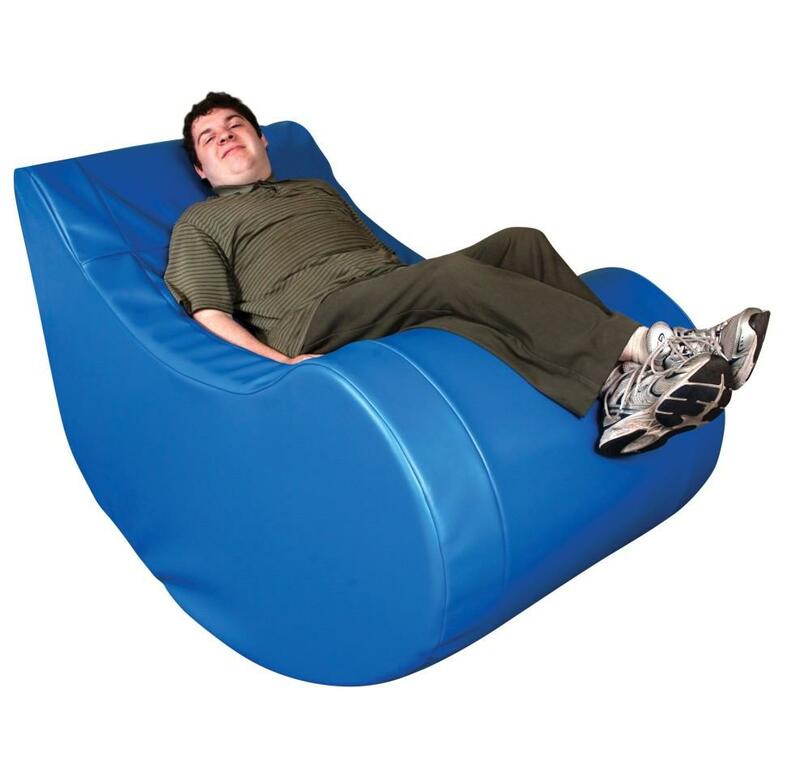 The amount of vibration is completely adjustable with the choice of music and the base selection, so you can customize this rocker to suit anyone. Color: Light Blue Maximum weight is 275 lbs. Truck shipment If you do not have a loading dock or are unable to accept a tailgate delivery, Liftgate and/or Inside Delivery services may be necessary. Please contact our customer service department for a quote (800-467-6222).